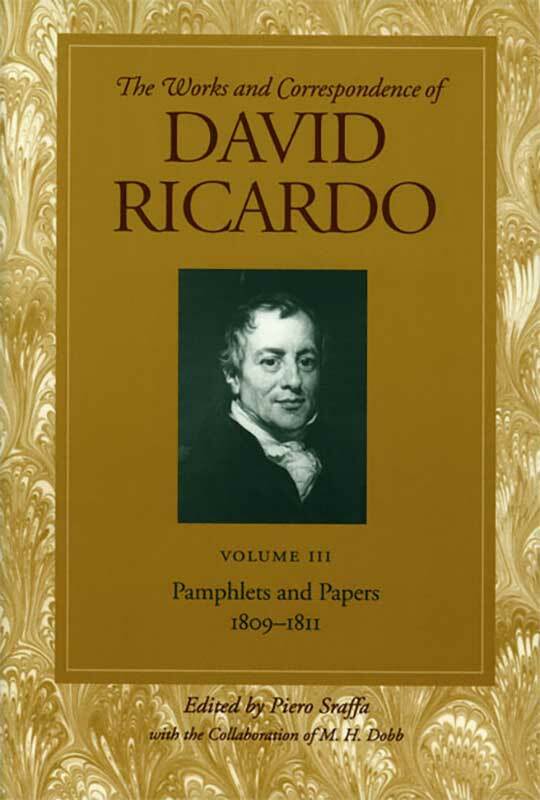 This volume focuses on Ricardo’s shorter essays printed in the Morning Chronicle, which deal exclusively with his thoughts on the inflationary monetary policy of the Bank of England and Britain’s consequent Bullion Crises. In these essays, the genesis of Ricardo’s theory of “hard money” emerges as a tool to hedge against inflation using metallic currency. The Bullion Committee, created by the House of Commons in 1819, subsequently adopted his recommendations. His writings here gave rise to the currency school of hard money. Prefatory note to Volumes III and IV, introduction, appendixes, tables of corresponding pages.